Basketball Backboards 1200mm x 900mm. Manufactured from strong smooth timber painted white with black markings. Suitable for outside or indoor sportshall use. 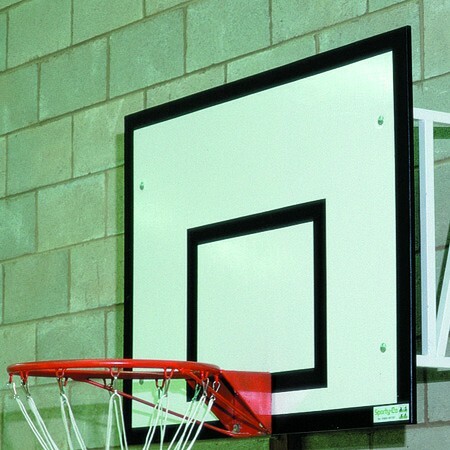 These backboards are supplied undrilled so that existing rings can be fitted to them. Supplied as standard as a pair but can be sold individually if required.